Shoreline Mayor Hall opened the October 1, 2018 Council Meeting at 7:00pm. The meeting began with the Mayor proclaiming October 2018 as Safe Shoreline Month. Residents are encouraged to participate in city sponsored safety programs to implement crime prevention measures, and to make preparations for naturally occurring disasters. October 4th information meeting regarding Proposition 1, funding for new sidewalks and sidewalk improvements. October 6th Annual Monster Mash Dash 5k. Costumes are encouraged but not mandatory. October 6th is also the final Famers Market of the year. Council reports included the City of Olympia’s plan to prepare an Amicus Brief supporting the City of Seattle’s proposed income tax. This was passed by the Association of Washington Cities on behalf of all 281 cities. Prior to Shoreline signing on as an individual city, the Council has asked the City Attorney to obtain a copy of the of the Brief when it's available for the Council to discuss. There was one brief public comment. Puget Sound Energy's local government affairs officer encouraged the Council to approve the right of way extension (see Ordinance #837 below). Two Action Items were on the Agenda. Councilmembers reported no ex parte communications. This discussion concerned rezoning from R-48 (residential) to MU (commercial). Staff reported that the property currently contains apartments. The application was submitted in June 2018 and previous meetings included a public discussion in August 2018. Rezones require a public hearing, and must be evaluated by the City Hearing Examiner for compliance with the City’s Comprehensive Plan and related criteria. In this case, the Hearing Examiner recommended approval. Councilmembers raised questions regarding increased rents as a result of the change in zoning and possible higher property taxes. It was agreed increased rents are not a result of rezoning itself (the issue before the Council), but the result of development of the property (not before the Council). No plans for development are required and none were submitted with the request for rezoning. It was generally accepted that the current apartments appear to be near the end of their useable life. Council should consider the following if and when development plans are submitted: building height and transition from adjacent building heights, access from Stone Ave rather than the already congested 145th St, possible eligibility as an historical landmark, increased taxes and rental costs. Referred to Consent Calendar 10/15/2018. There was a very brief Staff report stating that, due to time constraints partially caused by staff turnover, Council and PSE have been unable to finalize negotiations and obtain approval for a new long term franchise. This ordinance requests an additional one-year extension to the Right of Way agreement to expire 10/31/2019. There are no changes during the extension. It is hoped a long term franchise proposal will be available for consideration in the first quarter of 2019. Referred to Consent Calendar 10/15/2018. The meeting was adjourned at 7:44pm. 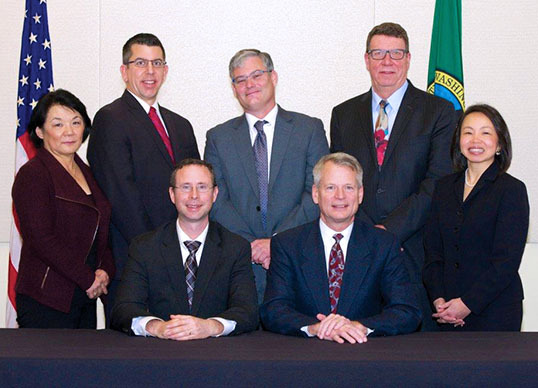 A video of the meeting and information for all topics are available on the City of Shoreline website.